The Koung Jor Nursery School provides education and care to young children from the Koung Jor Shan refugee camp and some of the children from local villages. 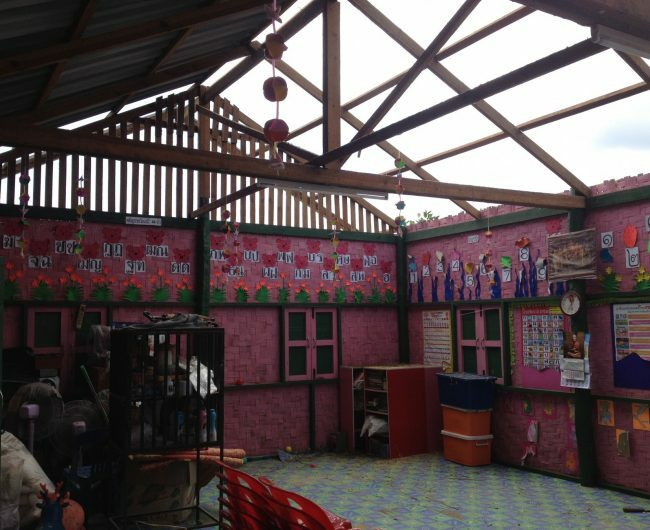 Unfortunately, the roof at the Nursery School was in a serious state of disrepair. 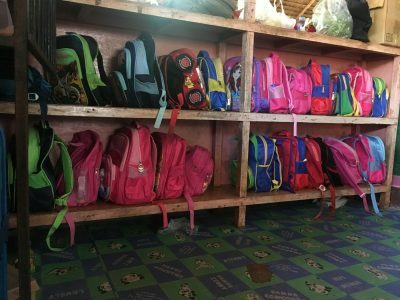 During the rainy season, this has caused real problems for the children and teachers. 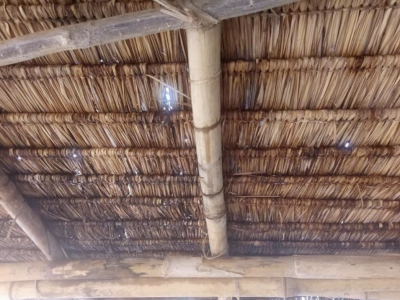 A leaking roof, wet floors and buckets to catch the water – this was more than an inconvenience, it was a health and safety hazard. 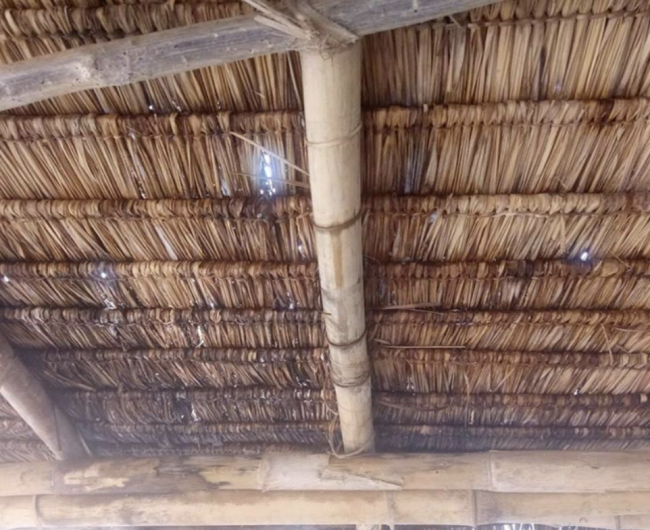 Fortunately, we were able to step in and fund the renovation of the roof. 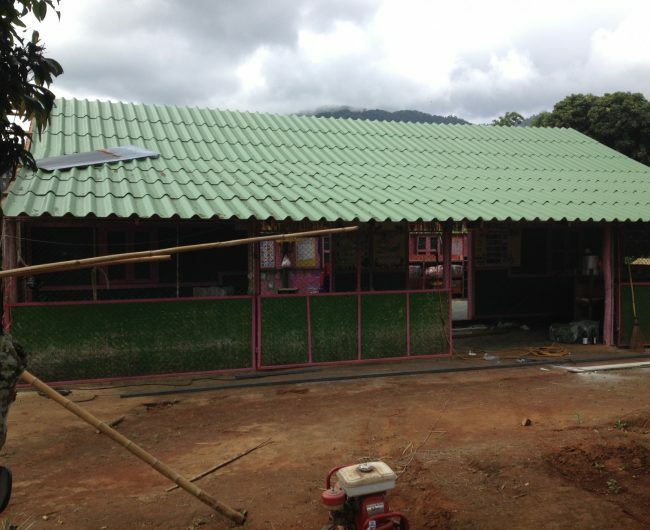 Next year’s rainy season will no longer be an issue for the nursery school. 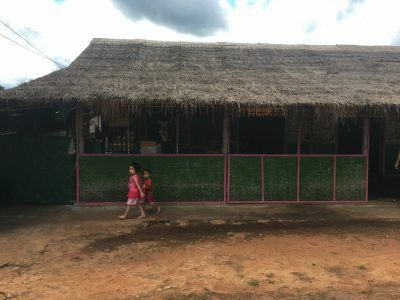 Shan Women’s Action Network (SWAN) was founded 1999 by a group of Shan women in Thailand, living along the Thai-Burmese border. 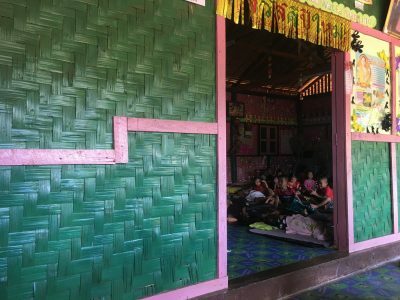 Their primary goal is to address the needs of Shan women and children. 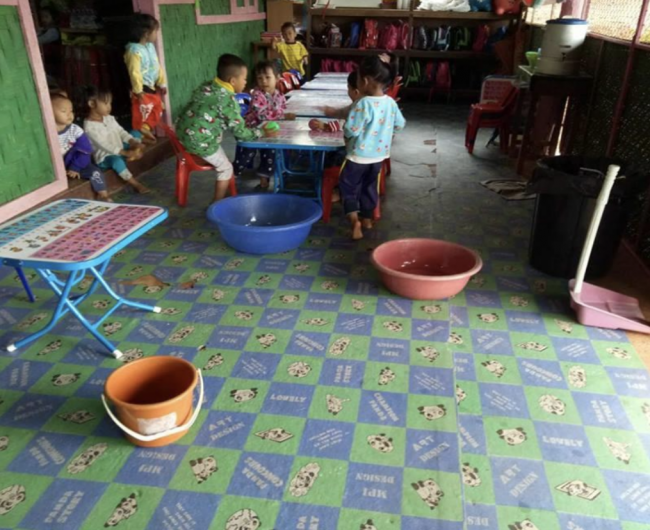 SWAN, under the sponsorship of Partner Asia, has been coordinating support for the food and snacks for the children at Koung Jor Nursery School. However, they do not have the budget to support any additional costs. 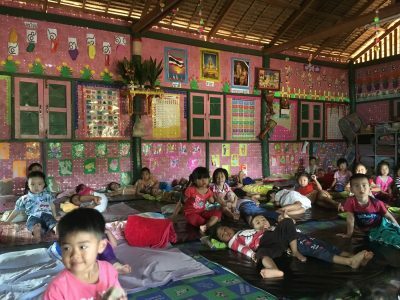 The children of Shan refugees’ lack educational opportunities in Thailand because they are not formally recognised as refugees. 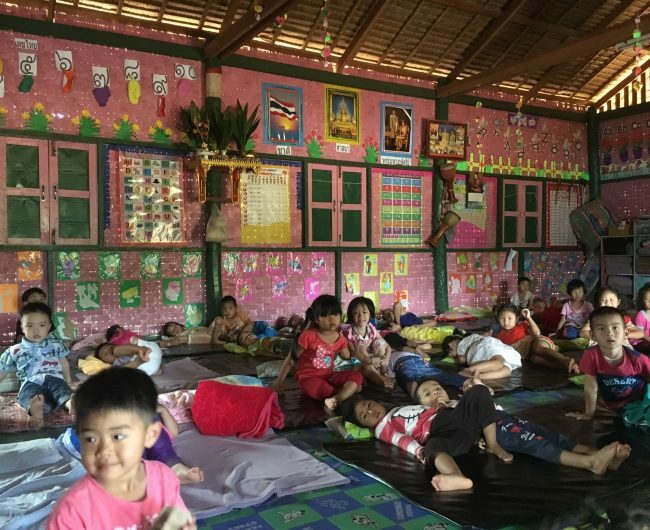 Few Shan refugee children can actually access Thai schools. This is due to several factors, the most important of which is the poverty of the parents, who are unrecognised refugees and displaced people who are forced to work for very low wages to support their families. 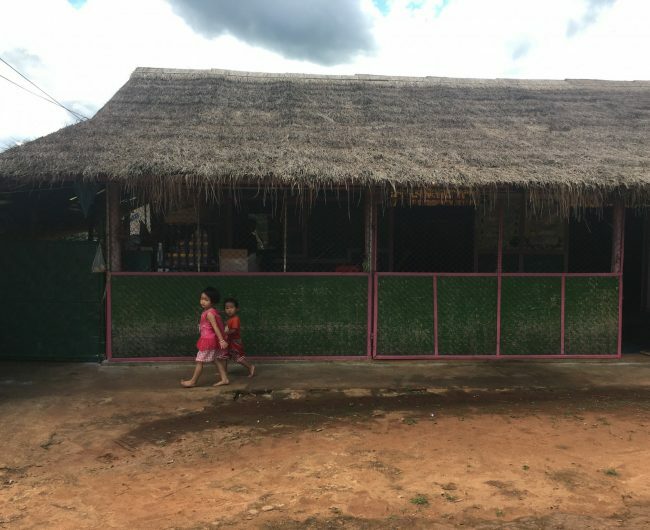 Most Shan labourers earn a very small income which is insufficient to take care of their families’ basic needs, let alone to allow them to have the resources to send their children to Thai schools, as they would need to pay for uniforms, textbooks and other school related fees. 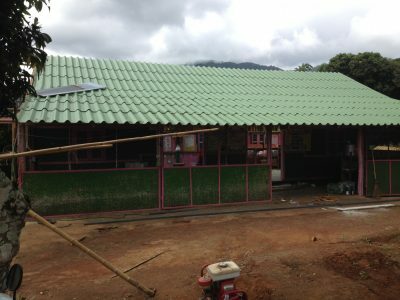 Based on the needs of Shan migrant children, with support and cooperation of the Shan community, SWAN established schools or provided financial and technical support to operate these facilities. 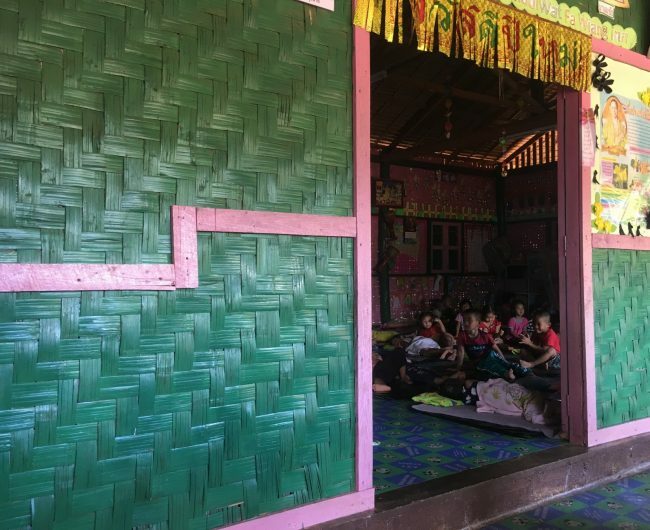 Even though there have been positive steps in the Thai education system, including greater support and inclusion of Shan schools, there are still many barriers. 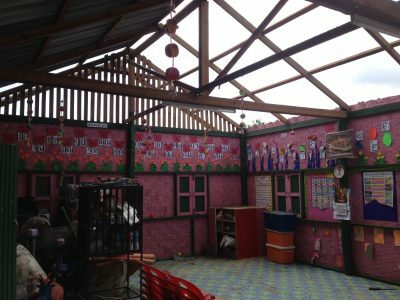 The main challenges are the fact that many parents cannot afford the cost of school uniforms, computer fees and school fees, as well as a lack of financial support from the Thai school systems to fund basic educational needs. The goal of this project is to provide the children at the Koung Jor Nursery the safe and healthy environment that all children deserve. 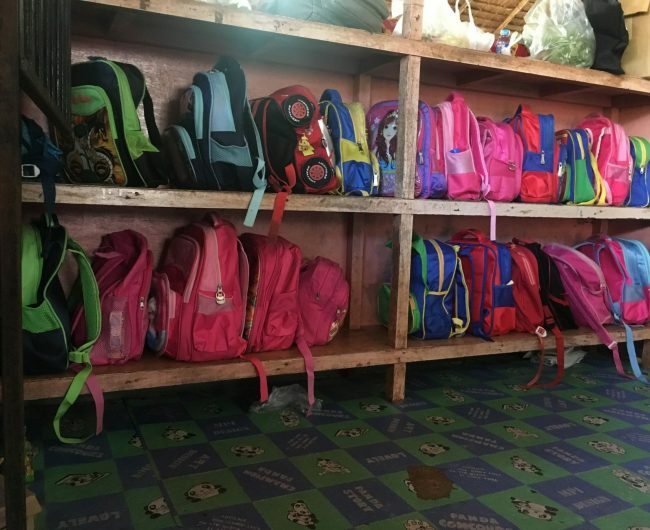 As with all education-related projects, we seek to provide enhanced educational opportunities to disadvantaged youth to give them better chances in life.